Most common issue that people usually face is being not able to connect to Skype. 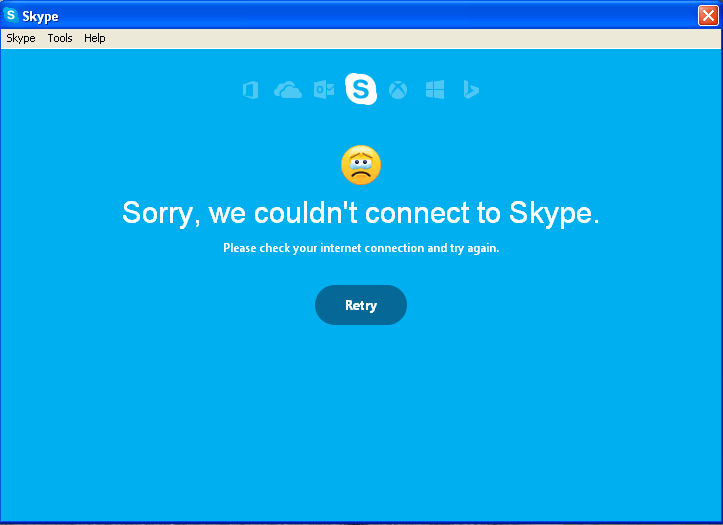 If you get an error stating “Sorry we couldn’t connect to Skype”, “Skype can’t connect” message when you are trying to sign in to Skype. There may be multiple reasons but most likely cause is that you’re using an older version of Skype. To fix this issue, download the latest version of Skype. You can download the latest version of Skype. The there must be an issue with your internet connectivity the first thing that needs to be checked for is the connectivity issue. If you find that there is no issue with the internet connectivity as all other application on your device is working fine except the Skype, then it may due to the firewall settings on your device. There may be a firewall blocking your access to Skype. The next questions that pop’s up is so how we unblock it or how can we fix this? So here are the steps for updating your firewall settings to allow Skype to access to the internet. 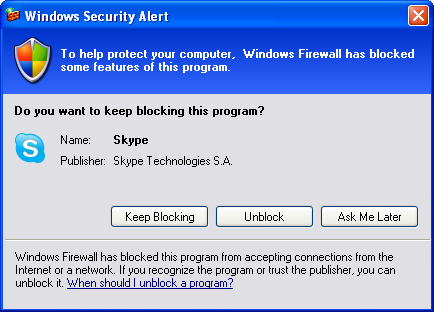 ====>> How do I update my firewall to work with Skype? Some firewalls will not permit applications many applications to which you have not specifically allowed to access the internet. Generally, the first time any application makes an attempt to access the internet; you will be asked if you would like to permit that application to access the internet. If unknowingly you have opted not to allow and have select as No on that message or if your firewall has never asked for permission to allow Skype access internet and blocked it from doing so, until you configure your firewall to allow Skype to access the internet you will not be able to use Skype. 1. Make sure that Skype is not running . 3. Your firewall maintains a list of applications installed on your device. 4. In this list, locate the entry for Skype. 5. Configure the Skype entry to allow it to connect to the internet. 7. Restart Skype and sign in. Check your proxy settings if you connect to the internet through a proxy server, you may need to manually configure Skype to connect. If you still encounter connection problems, it may also be need to configure your proxy server to allow Skype to connect to the internet. But you need to make a call right now and you don’t have time to work through these steps, you can use Skype for Web to make calls or send messages direct from your browser. You don’t need to download or install Skype. Visit the Skype official website and look out for Skype for web. This entry was posted in Skype Tips and Tricks, Uncategorized and tagged Allow Skype to Connect, How to Allow Skype through Firewall, How to Fix Skype Can't Connect, How to Fix Sorry Skype Can't Connect, Solve Skype Connection Issue Problem on March 16, 2016 by Shruthi Shetty.